Zapovednik, DW’s Russian-language, animated political satire, is resonating with Russian audiences and is one of the most viewed videos on DW’s Russian partner website Ekho Moskvy. The 12-minute episodes tackle current political issues and put a funny and entertaining spin on important topics. By using animated satire, DW can convey an alternative perspective in the Russian media landscape. DW’s partner Ekho Moskvy is a reliable source of independent news in Russia. DW’s English channel is once again available on the leading Malaysian Pay TV provider ASTRO. Around 1 million subscribers can now access DW on the providers OTT platform Astro Go. The Vietnamese cable provider HTV-TMS in Ho Chi Minh City is providing DW’s English channel to 600,000 subscribers. DW’s partner in Thailand PSI is broadcasting Tomorrow Today, Global 3000, Drive It, In Good Shape and Euromaxx to an estimated 18 million households. For the grand finale of the 68th Berlinale film festival in Berlin on Saturday, DW’s German-language programming on DW (Deutsch) and DW (Deutsch+) broadcast 24 hours of film specials and live reports. The Berlinale is one the world’s most renowned film festivals, and culminates every year with a winning film receiving the “Golden Bear” award. The awards ceremony was broadcast on DW (Deutsch) and DW (Deutsch+) Saturday evening (CET), including interviews with some of the biggest names in German cinema. Throughout the day, DW’s arts and culture shows Kultur 21, KINO and Euromaxx aired features that unveiled secrets of the German film industry and introduced audiences to legendary films like Manche mögen’s heiß and Die Ehe der Maria Braun. DW’s travel show Check-in featured the history of the Berlinale along with a tour of Berlin’s famous Babelsburg studio. And even after this movie marathon, DW’s programming freuqently covers trends and highlights from the German film industry. Check out our programming schedule for more information. DW will be opening a correspondents’ office in Bogotá, Colombia in 2018. The new office will add to DW’s reporting across Latin America. 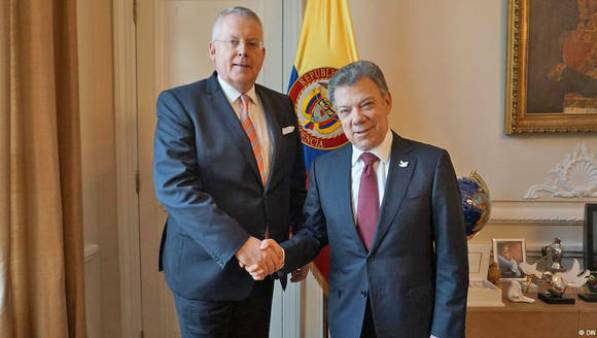 The plans were announced during a meeting between DW’s Director General Peter Limbourg and Colombian President Juan Manuel Santos. The president praised the quality of DW’s reporting and is looking forward to welcoming DW’s correspondents. With around 14 million TV households, Colombia is DW’s second-largest market in Latin America after Mexico. Online videos from DW are being posted by Brazilian partner Terra using Facebook’s cross posting function. It is the first time DW content has been used in a cross posting partnership. The cooperation has already registered an increase in total views for DW videos posted on Terra. Terra posts DW videos on its Facebook page and names DW as a source and links to DW websites. Following a new partnership, DW’s English-language TV channel will have increased availablity in Scandinavia starting in September 2017. DW’s partner channel, Canal Digital from the Telenor Group, is available to 430,000 households in Norway, 255,000 in Sweden, 46,000 Denmark and 34,000 in Finland. The partnership also puts DW’s English TV channel in many hotels across Scandinavia. 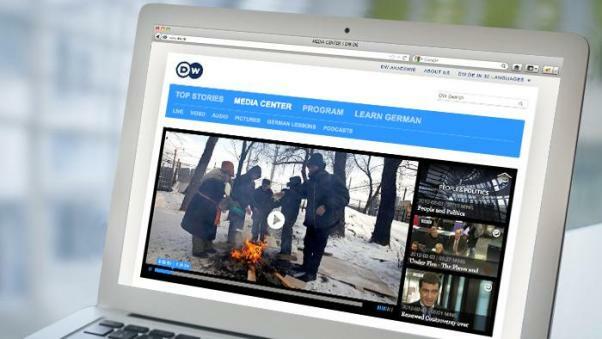 Spiegel TV is carrying DW’s German language programs Euromaxx, Made in Germany, Projekt Zukunft and Reporter on its web TV lineup. The cooperation is expected to be expanded in the near future. DW’s articles in English and Hindi are now available on the popular Indian news aggregator app, InShorts. The app features articles shortened to 60 words and has 10 million active users. DW News is being broadcast once a day during the week on Hong Kong’s free-to-channel ViuTVsix. DW’s English-language channel is also being included in the basic package of Indonesian pay-TV company SMV Freeview. The channel is also being included in the basic package of Hyderabad, Pakistan-based cable station Hyderabad Cable Communication. DW articles in English are being featured on the website of USA Today. Articles covering German politics, society and culture will be featured on the world section of the website, which brings in 115 million unique visitors every month. DW’s content will also be featured on USA Today’s social media channels. USA Today is the widest distributed newspaper in the US and content from DW will add to the international profile of their online news content. Following up on the successful release of regionalized editions of DW’s hit lifestyle show Euromaxx in different Asian markets, an Indonesian version is being produced in cooperation with Metro TV. The Indonesian partner will take the original English version and re-edit the episode with voiceovers from an Indonesian narrator. Metro TV is one of Indonesia’s largest channels and reaches over 3.3 million people nationwide. It is also available on all of Indonesia’s major cable, IPTV and DTH providers. Astro Awani, Malaysia’s largest news and current events channel is broadcasting five English-language programs from DW, including Global 3000 and Euromaxx. The channel is Malaysia’s only 24-7 news broadcaster and can be received by 80 percent of the population. The Vietnamese OTT platform Vivas will now include DW. The partner reaches around 100,000 households in Vietnam. In Pakistan, Lahore-based triple-play provider Nizara is offering DW in its basic package. Nizara packages TV broadcasts for use on mobile phones, tablets and PCs. Carnaval TV based in Coquimbo, Chile, is now broadcasting a selection of programs from DW (Español). This will include Al volante, Cuadriga, Cultura.21, Escápate, Hecho en Alemania and Patrimonio mundial. The terrestrial broadcaster has a technical reach of 100,000 households. DW is providing a wider selection of Russian-language programming in parts of Russia, all of central Asia, the Caucuses, Turkey and the Middle East via broadcasting partner NEXT TV. The partner will rebroadcast DW’s Russian news broadcast, DW Novosti, along with the political talk show Nemtsova.Interview and a subtitled version of the lifestyle program Euromaxx. DW’s Russian-language programming provides the region with a valuable, independent perspective on important global news, something which is lacking in Russian media. A DW livestream is now available on mobile devices via Hong Kong-based partner CMC WiseMe in Malaysia, Singapore, Cambodia, Thailand, Indonesia, the Philippines, Vietnam and Taiwan. The science program Inovator is being broadcast across Indonesia via ICTA-TV, which has a big place in the Indonesian TV market, reaching 2 million households. DW’s partnership with South African media conglomerate MultiChoice has taken on a wider scope. DW’s German language channel DW (Deutsch) is now available via MultiChoice in 50 countries throughout the continent. MultiChoice operates the most important DTH platform in Sub-Saharan Africa and will contribute to DW (Deutsch) becoming the primary German-language television channel in Africa. DW has a new programming partner in Argentina. Santa Fe-based RTS is broadcasting the programs Enfoque Europa, Visión futuro and Cuadriga to an estimated 850,000 households.